As the name implies, this web experiment lets you hear what’s happening around you in various Google Street View locations. Using the Web Audio API, the company has set up multiple Google markers in each location that can project stereophonic sound. This means that as you pan from left-to-right, the sound will change accordingly in your headphones or speakers – just like it would in the real world. Furthermore, the volume of each sound will fluctuate depending on your distance from the marker. Amplifon has created three Google Street View environments that you can explore: Place du Palais in France, Hapuna Beach in Hawaii, and Balboa Park in San Diego. 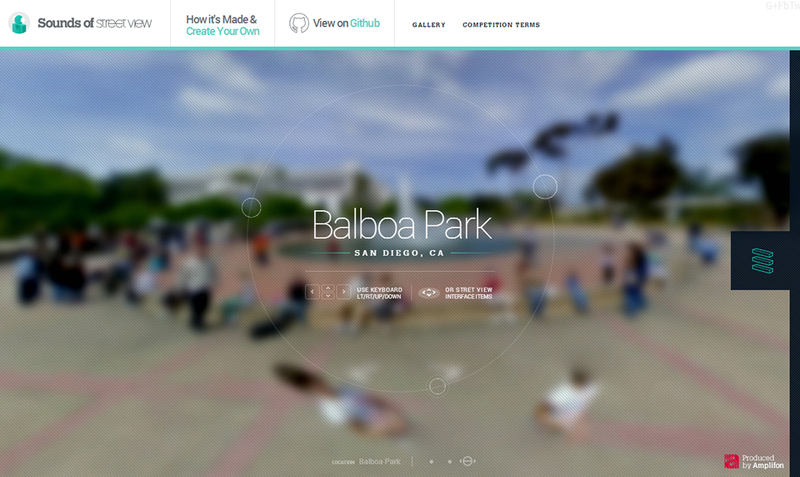 Each sound is a short loop and the Street View experience can stop and stutter at times, but the potential is clear. Google tried a similar idea with Night Walk, an experiment that combined an audio tour of Marseille with its 360-degree Street View imagery. The experience was unique, educational and fairly immersive, but it was like walking around with headphones on; in comparison, Amplifon’s project is replicating the natural, ambient noises that you would hear in the real world. Creating sounds for all of Google Street View would probably take Amplifon a few decades, so it’s put the related code up on GitHub for developers and passionate mappers to check out. Google should certainly take note – this is a brilliant idea that could take its mapping services to a whole other level.